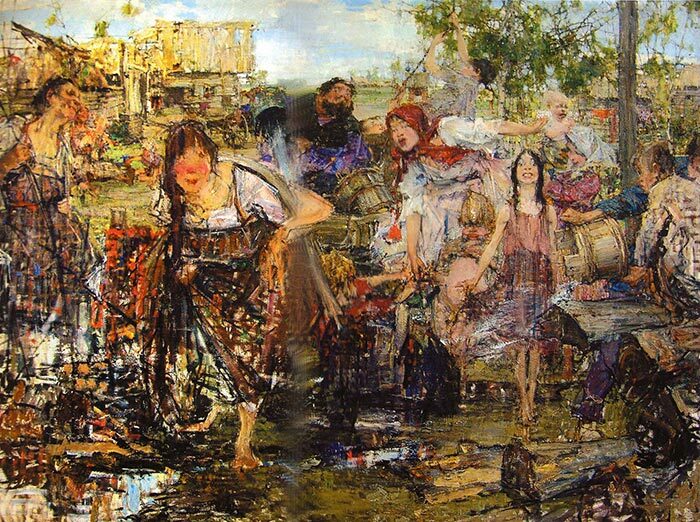 Nicolai Fechin was a master Russian artist known for his dynamic paintings and intricate drawings. His art is a stunning mix of academic brilliance and creative exploration. 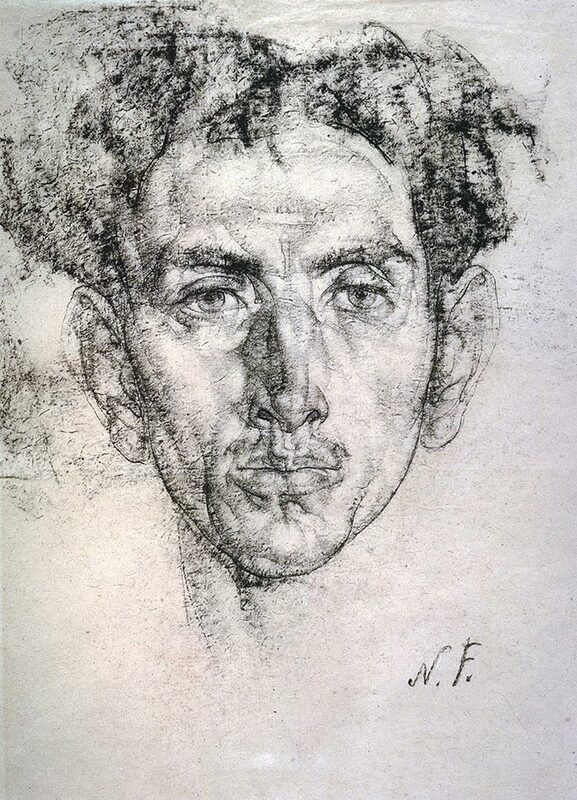 Nicolai Fechin was born on 26 November 1881 in Kazan, Russia. He was introduced to art from a young age, learning how to carve from his father and also creating drawing designs for the construction of altars. At the age of 13, he enrolled in the newly-opened Kazan Art School, a branch of the Imperial Academy of Arts. Fechin ended up marrying and having a child with the daughter of the Kazan Art School director. 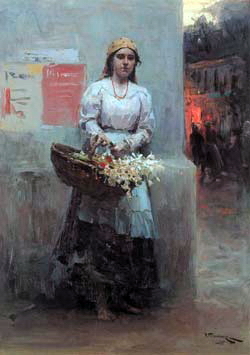 He was subsequently admitted to study at the Imperial Academy with artists like Ilya Repin. I can certainly see similarities between the works of Repin and Fechin. His final painting whilst studying at the Imperial Academy won him the Prix de Rome, which allowed him to travel and paint through Europe. In 1910 he won gold at the annual International Exhibition in Munich. 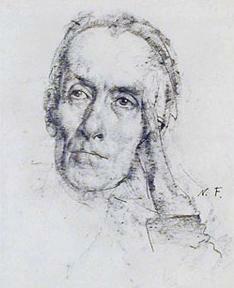 He eventually returned to his home in Kazan to teach at the Kazan Art School, of which he eventually became the director. He passed away on 5 October 1955 at the age of 73 in Santa Monica, United States. The largest collection of his work is at the Fechin Center in Kazan. Fechin's paintings are a demonstration of his academic training, with masterful use of drawing, value and composition. What makes his art unique is the way he combined his academic mastery with painterly brushwork and a level of abstraction. He was clearly trying to push the boundaries of what is possible with paint and brush. In his painting below, notice the contrast of the delicate tones and details used for the subject's face, against the painterly brushwork and abstraction for the rest of the painting. The subject's clothing almost blends in with the wall in the background. 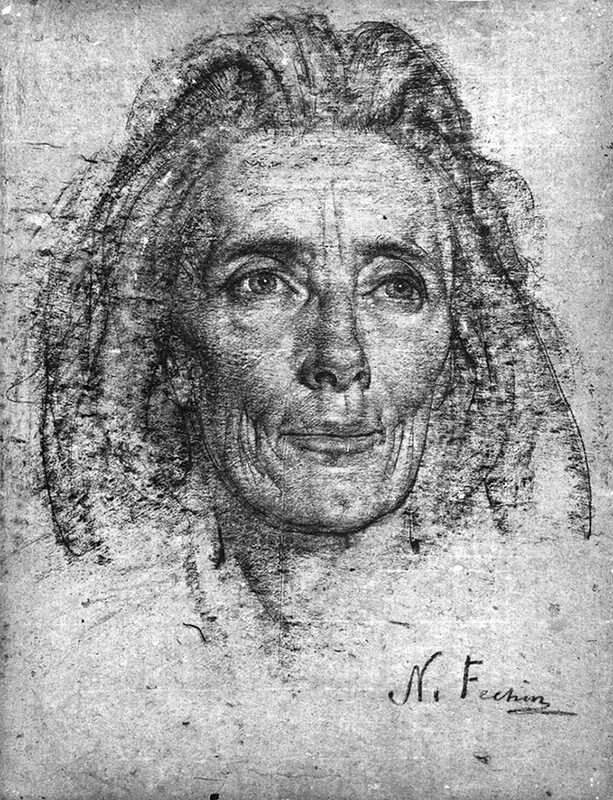 Fechin used painterly brushwork for the whole painting below, including the subject's face. The solid fundamentals of this painting allowed Fechin to be more rough and expressive with his brushwork. Also, notice how there are two strong value masses - the dark bottom half and the light top half, with a few dark or colorful accents strategically positioned throughout the painting. The level of detail and control used in the painting below is truly remarkable. 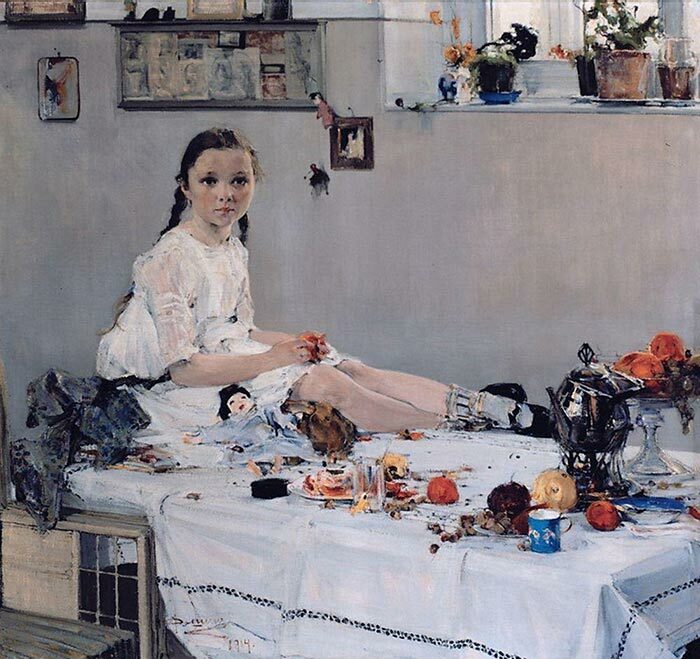 The girl alone would have been a challenge to paint, let alone the fruit on the table, the flower pots on the window shelf or the detailing of the tablecloth. The painting below is in stark contrast, with Fechin using abstraction, expressive brushwork and a cluttered composition. 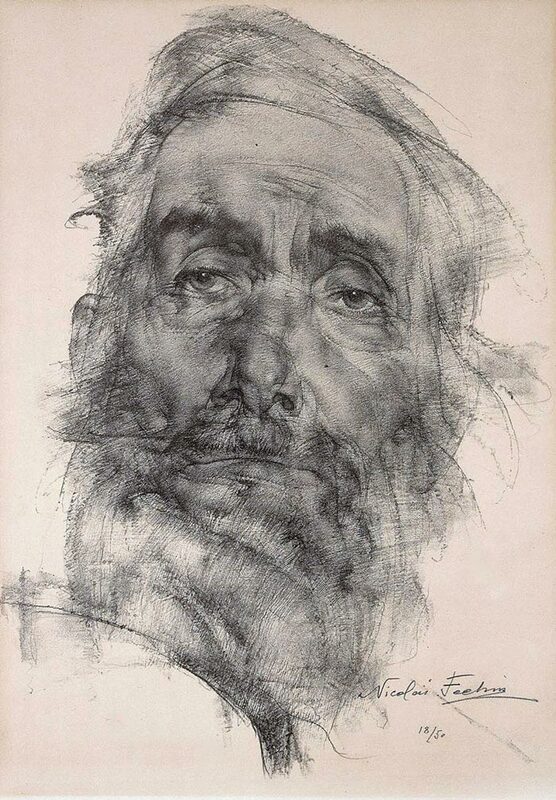 Here are some of Fechin's elegant drawings. Notice in particular his powerful use of line. The following quotes provide some fantastic insight into Fechin's ideas and mindset about art. I suggest you read each quote as there is a wealth of knowledge here. "To avoid murky results, it is necessary to learn how to use the three basic colors and to apply them, layer upon layer, in such a way that the underlying color shows through the next application. For instance, one can use blue paint, apply over it some red in such a manner that the blue and the red are seen simultaneously and thus produce the impression of a violet vibration. If, in the same careful manner, one puts upon his first combination a yellow color, a complete harmonization is reached - the colors are not mixed, but built one upon the other, retaining the full intensity of their vibrations." "The appearance of a truly new idea in art is always valuable, but only when it aims at fulfilling itself in an accomplished piece of work." "Also for myself, I do not like to use medium. This dissolves the paints too much. The pigments mix up together, do not retain their individual distinctness and thus again lose much of their fresh intensity." Thanks for reading and I hope you learned something new about Nicolai Fechin. 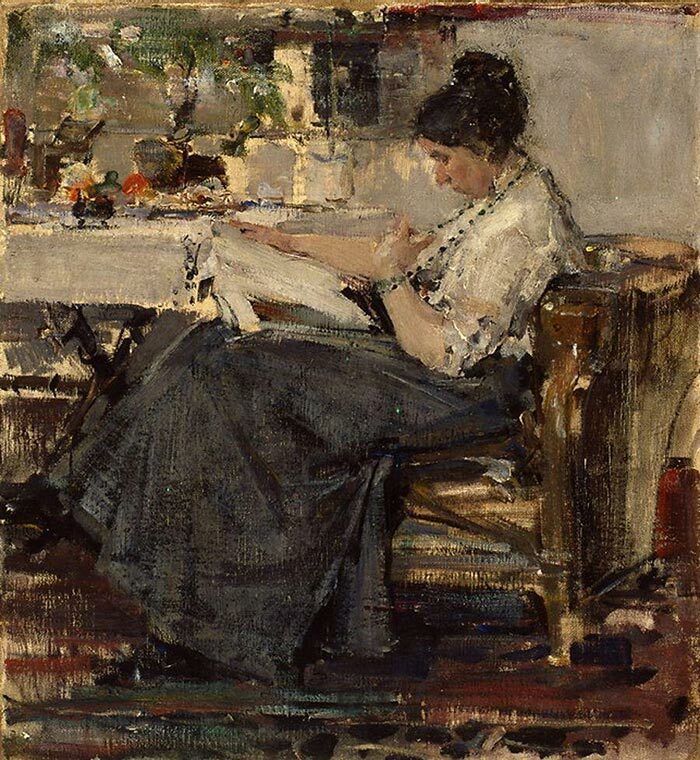 Few artists have been able to successfully combine academic painting with such clever use of painterly brushwork and abstraction, so there is much to learn from him. If you have any questions or thoughts, please share in the comment section below. I really appreciate you sharing your knowledge and history. I’m an older lifelong artist with no art education and what you offer is very helpful! Tnx! I am learning so much from your posts and I am very appreciative of your knowledge and inspiration. 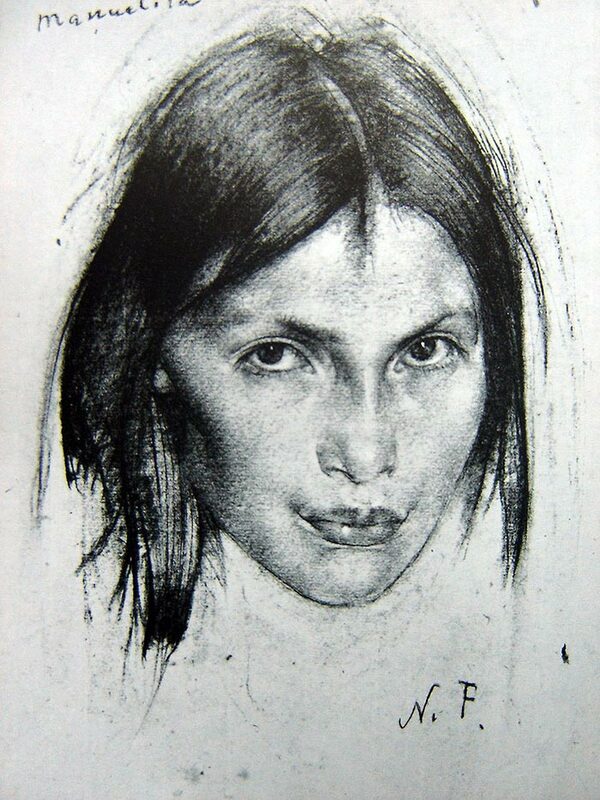 I had not heard of Nicolai Fechin before ,but I will certainly be doing more research of him. Thank you . Thank you, your tips are very helpful as well as those of other artists which you post, look forward to your help. Thank you for another helpful article about a particular artist! I appreciate your thoughtful tips and sharing information about artists I have not yet known. This is very helpful as someone who is learning along the way…. 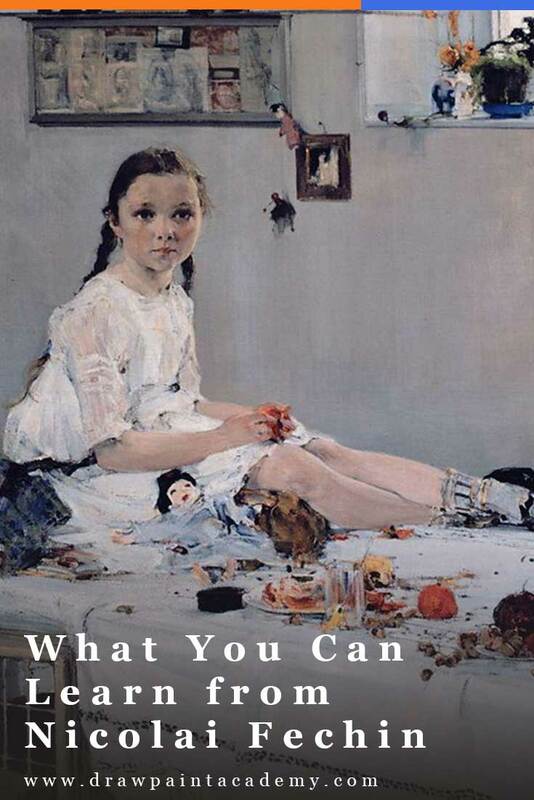 You bring a new dimension to us fledgling painters– artists many of us have never heard of, quotes, life experiences,–in just the right amount making it a joy to read. Love it. Thank you for introducing me to this fantastic painter. His drawings are brilliant and his use of colour makes his paintings so atmospheric. My art teacher will be very impressed with your posts. Thank you for a great article. Been feeling tired, frustrated and bored with the current piece I’m working on. This article reminded me of why, as a painter, I do what I do. Heading back to the work table right now! Thank you! Wonderful illustrations and quotes. I also had never heard of this artist, apparently my education has been sadly neglected, however you are helping with that problem! Thank you so much for introducing me to Nicolai Fechin, Dan! There is definitely something mesmerizing about the Russian school of painting and Russian artists. They sure stand out! But on a different tune, how do you find time to do these in depth studies, composing emails, running your own painting school and still have time to paint? You must be a very disciplined man! Yes there must be something in the Russian water! So many great artists. Another great article and an extremely useful information about an artist we should know about. Thank you for putting together these and other notes which I always enjoy receiving. Thank you so much for sharing these amazing artists, their histories, their quotes, your guidance in what to pay attention to. 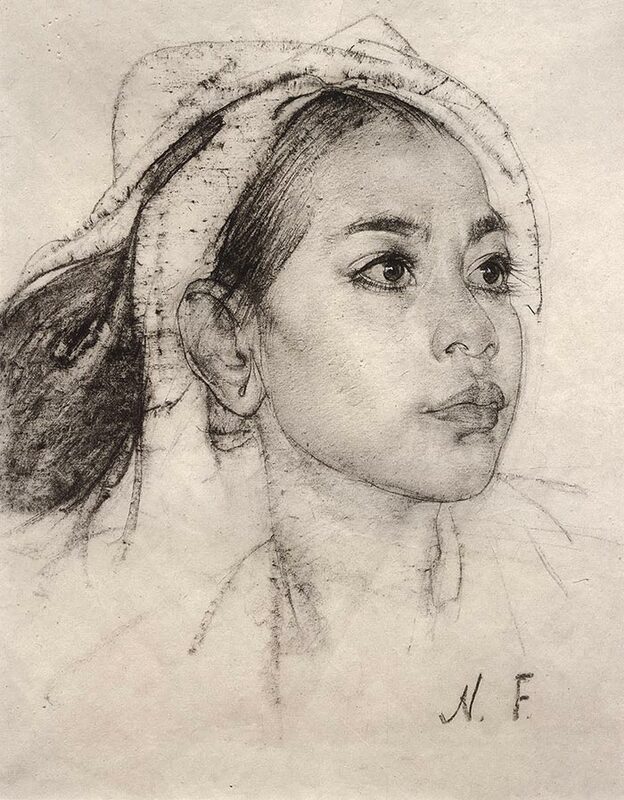 I fell in love with Nicolas Fechin & his paintings when I visited Taos NM many years ago and toured his home – with his stunning hand carved staircase inside – and a beautiful collection of his paintings. I was so touched by the beauty of his works and it was as if one could feel, or imagine, his creative spirit in those rooms. I highly recommend the tour of his home. Again, thank you for highlighting these creative & talented artists who continue to inspire as well as your own painting tips. You are a treasure trove to other artists. Thanks for your comment! Sounds like you had a great time and it is definitely something I would love to do in the future. The masters really speak volumes with their artwork it’s truly stunning and breathtaking. I am personally more fond of realism type artwork as an artist myself I can see the level of difficulty of creating a piece that has captured a beautiful moment in time. Whereas contemporary pieces really can’t compare to this level of genius and talent these works reflect. Respectfully speaking I’m not saying this as a criticism to modern art and contemporary pieces as each artist is gifted to present their ideas and creativity in their own special way. Thank you so much Dan for introducing me to this artist. I think he may just be my favourite artist ever. Love his work so much. Your articles are so informative and valuable for someone like me with no formal art education. Thank you, Dan. There is a wealth of intriguing and extremely helpful information in your posts! I look forward to every one. This artist in particular I had not heard of. Wow! And what he can do with just lines. Amazing. I can’t wait to get painting today. Thanks again. Thanks so much for your selfless sharing. Really love what you do in terms of helping other artists. 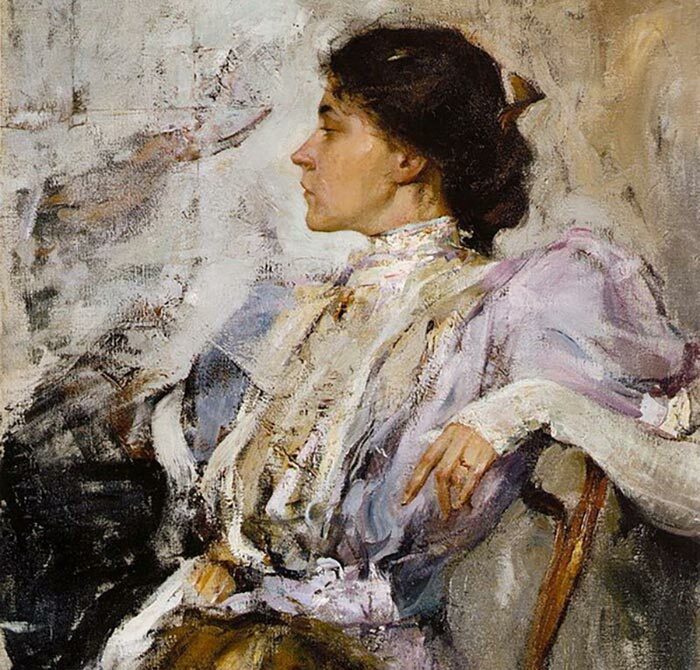 Fechin and Repin have a lot in common, because they had the same teacher, professor Chistiakov. Nearly all remarkable Russian artists of that time came out of Chistiakov’s classes. Fechin was one of the most unremarkable students of his. He didn’t acquire much name by the time he left Russia at the age of 45, because he was outshone by a multitude of more talented artists, but he definitely had skills. He didn’t invent anything in art, but he was an honest craftsman. It would be more beneficial to look not at him, but his teacher whose wisdom you shared here. Chistiakov deserves a close study, as well as Andrea del Veroccio, another outstanding teacher of art in world’s history. Very interesting and educative, especially about colour painting. I say ditto to many of the above comments. Love his work, the annalysis of his works and the quotes you included. Thanks so much. Very helpfil. I look forward to your posts. I`m 75 years old – but not too old for learning ! I` m still learning !